Grand Piano Chalkboard Wall Art – Have that to do list up on the wall where you can see it with this innovative chalkboard! 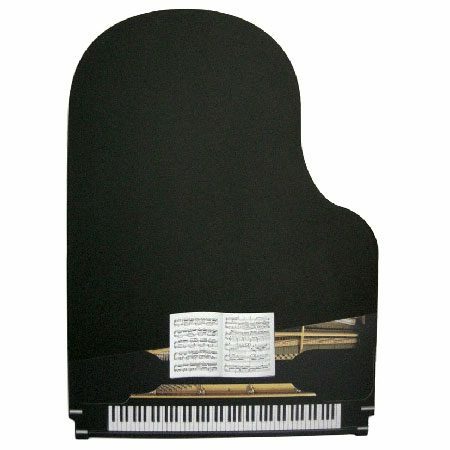 Easily mountable, this beautifully made high quality chalkboard is crafted into the shape of a grand piano with exceptional detail. A unique decor piece for the home, office or classroom! The perfect gift for any piano enthusiast. Includes a shelf and chalk. Size: 15″ H x 11.25″ W.